Lisa and I have been long time colleagues and we have collaborated on our Occupational Therapy and Speech-Language Therapy services for children. She motivates children and works well with parents and multidisciplinary team members. Lisa accurately assesses children's needs, specifically designs children's therapy, and interactively provides personalized intervention. As an experienced Occupational Therapist, she enhances her expertise by attending various professional conferences and workshops. Lisa is a stellar professional. As a primary literacy leader in Cheltenham School District, I have had the pleasure knowing Lisa Baum, occupation therapist extraordinaire for over twenty years! Ms. Baum is a truly gifted O.T. and I have seen tremendous gains in the students she has worked with in improving not only their skills but their confidence in the classroom as well. She is uniquely adept at evaluating children's capabilities and providing individual therapy to children with developmental delays. She makes herself readily available to consult with teachers, parents and administrators to offer practical strategies that facilitate the promotion of fine motor skills. In addition, my colleagues and I were extremely impressed by the tips Lisa demonstrated for the staff at a workshop she held at the school on helping students improve their small motor skills. She approaches life with a ‘can do’ attitude and is always eager and willing to help students to achieve success in school. Ms. Baum is the only occupational therapist I recommend to parents and teachers because, quite simply, she is the best! I have known Lisa professionally for over ten years. In that time, I've come to see her as a passionate advocate for her clients. She works tirelessly to ensure that her kids are getting the appropriate therapy for them. It may be one of the many areas that she has skills in, or when necessary, she gladly refers them to the proper therapy, therapist, reading specialist or school placement that will be most beneficial. The feedback I get from her kids and their parents is that she is loved and respected. Her referrals to me, as a developmental optometrist, are always appropriate. We've seen many clients cooperatively over the years. I have no doubt that once her kids have finished with her they have gotten a strong foundation for all kinds of learning. 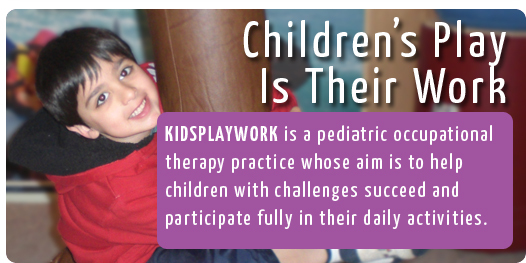 When a child has sensory, fine and gross motor issues, Lisa Baum is the OT I recommend first. Lisa Auerbach Baum is my most treasured resource! Lisa is a Pediatric Occupational Therapist with tremendous knowledge about the connections between child development, physiology and sensory processing. She can skillfully analyze the components of each behavioral or medical problem with an extremely accurate eye for assessment and strategic case planning. Lisa also has that rare ability to work equally well with children and their parents as well as with the host of professionals that often make up the “village” for children with special needs and medical or emotional difficulties. Her expertise, enthusiasm and competence in developing skills and confidence in children set her apart from others in her field. As a child and family therapist working with young children and their families for 31 years, I see a vast array of diagnoses and presenting problems from developmental delays to family crises to autism spectrum disorders to sensory processing and attention difficulties. 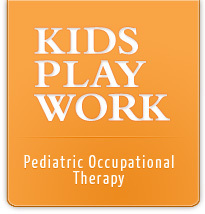 My work with children and families would not be as effective without partnering with Lisa and her OT practice. I had the pleasure of working with Lisa with the social skills groups that she ran. Lisa's understanding, empathy, patience, and knowledge are an incredible combination that makes her truly stand out in her field. Furthmore, she has positively influenced the lives of many of her clients over the past three decades and will continue to do so with future clients. Lisa is an astute observer. Her experience and knowledge in the OT field, coupled with her understanding of childhood social-emotional development makes her an outstanding professional. Thanks Lisa, for all you do. Lisa helped me through more than she knows. She has a gift. Through coming to Lisa’s occupational therapy sessions, I improved my eye-hand coordination which helped improve my handwriting and typing skills. I enjoyed listening to my favorite music while I did exercises on the swings and had fun playing games. I also participated in her friendship groups which helped me develop better social skills. I liked going to Lisa's house and learning about myself. She is nice and helped me feel comfortable in my skin. We listened to music and did a lot of different activities. I learned to pay attention to my body. It helped me overcome a lot of fears. Thank you Lisa.